Behavioral methods and medications are the two main treatments for improving sleep. before considering medications, it is important to know that sleep troubles often result from something else, such as sleep apnea or depression. More information down under. 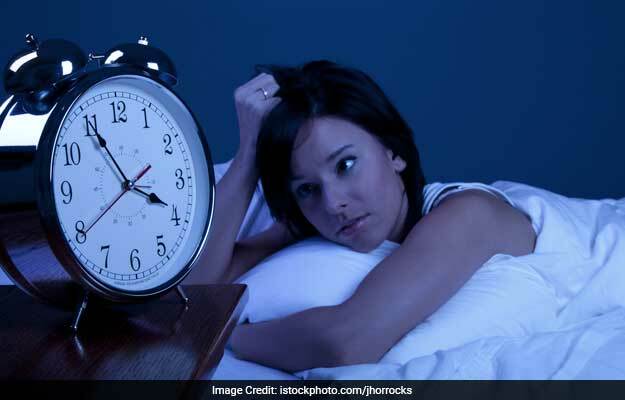 A lot of people out there don't get enough sleep - more than 1 in 3 American adults, according to the Centers for Disease Control and Prevention. If you're one of them, you probably know there are two main treatments for improving sleep: behavioral methods and medications. When you're desperate for a good night's sleep, medications sure do sound appealing. But there are caveats with them all - the prescription pills, the over-the-counter products and the herbal supplements. Before describing the medications in detail, I'll remind you that the prevailing wisdom is that cognitive behavioral therapy, which involves changing habits and bedtime rituals, is the first-line treatment for insomnia. Sleep experts say CBT is more effective and longer lasting than medication for most people - but maybe you're not most people. "There's clearly a subset of patients who don't improve with CBT," says Andrew Krystal, who directs the sleep research program at the University of California at San Francisco. There's also a problem with access, he says, as CBT requires effort. Even some of the seemingly simple online versions have fees attached. Another thing to consider before looking at medications is that sleep troubles often result from something else, such as sleep apnea or depression. Also, alcohol and caffeine intake can interfere with good sleep, as can certain medications, says Constance Dunlap, a D.C. psychiatrist in private practice. A doctor can help you rule out or address these issues. "I get a lot of information," Dunlap says. For instance, a sleep study can identify awakenings from sleep apnea. "My patients who have tried CPAP?" Dunlap says, referring to continuous positive airway pressure therapy for sleep apnea. "One hundred percent of them feel better." If the primary problem is depression or anxiety, Dunlap says physicians will address that problem along with the secondary insomnia. But here is an overview for those interested in the various sleep medications and supplements. Benzodiazepines, such as Ativan and Xanax, are in a class of medications prescribed for sleep problems, but they carry concern about addiction. That's why clinical practice guidelines discourage using them for more than four weeks. The goal is to limit use, says physician Douglas Kirsch, a sleep expert in Charlotte who is president of the American Academy of Sleep Medicine. A 2014 study documented benzodiazepine prescription rates and long-term use as highest in people over age 65 - and older people are at higher risk of side effects such as cognitive impairment and falls. There's some evidence associating benzodiazepine use with dementia, though no causal relationship has been determined, Kirsch says. In a 2018 study, researchers estimated that 30.6 million American adults use benzodiazepines: 25.3 million use them "as prescribed" (in addition to insomnia, the drugs are used for anxiety, seizures and panic attacks); the other 5.3 million are misusing the medication (most commonly, they get the drug from a friend or relative). Ambien, Lunesta, and Sonata - the"Z-drugs"that don't contain benzodiazepines but have similar effects - are common prescription medications for insomnia. They all have generic versions. Their claim to fame is that they help you fall asleep. "If you do use a medication like Ambien, make sure you're getting enough time in bed," says Kirsch. "Don't take it at midnight if you're waking up at 5 a.m."
That's because the drug's intoxicating effects may still be present. Women are prescribed lower doses than men because they metabolize the drug more slowly. Even with seven-plus hours in bed, Kirsch says, "The biggest side effect is feeling groggy in the morning." The Z-drugs are thought to be safer than their benzodiazepine cousins with regard to side effects and dependency, but they're not free of such concerns. That's why doctors encourage patients to use the lowest dose for as few nights as they need. Krystal says many people's lives are improved by using Z-drugs to help them sleep. But "it's very difficult to know how long insomnia lasts," he says. If you're using the drugs nightly, how would you know whether you still have insomnia? Krystal says he plans periodic breaks from his patients' medication routines to see if the underlying problem has changed. OTC sleep aids such as Unisom, ZzzQuil and Tylenol PM contain an antihistamine drug. Usually it's diphenhydramine, which is the same as Benadryl. Benadryl, of course, has a side effect of drowsiness, which in sleep aids is the intended effect. But there's been little research on how diphenhydramine helps insomnia and, Kirsch says, "They are not free of side effects" - morning grogginess and dry mouth are common - "in older folks particularly." Diphenhydramine is deemed inappropriate for adults age 65 and older. The sleep aids can trigger cognitive impairments, dizziness and falls, in addition to increasing risk for liver and kidney dysfunction. A different antihistamine compound has been developed specifically for sleep troubles - the prescription drug Silenor contains a low dose of doxepin. Krystal ran a randomized controlled trial funded by the drugmaker and found the drug helped older people improve sleep time and sleep quality. Subjects still woke up in the middle of the night, but they fell back asleep sooner than before. Also, they had fewer early morning awakenings, and side effects were inconsequential. Krystal says that Silenor blocks the body's natural arousal system, which is mediated by histamine. Since that study, he continues to study the mechanisms of awakening, which, when blocked, represent a new strategy of aiding sleep - rather then enhancing drowsiness or sleepiness, as the other sleep aids do. Another wake-promoting signal in the body is a small protein called orexin. Belsomra is a prescription orexin blocker that helps people keep sleeping toward morning and has little morning sedation. Melatonin is perhaps the best known of the body's natural signals for sleep. The hormone tends to rise with the darkening of the night. Taking melatonin supplements may help some people by preparing the body for sleep. That means timing can make a difference, Kirsch says. "If melatonin at bedtime doesn't work, try taking it earlier in the evening." Still, Kirsch warns that melatonin preparations are not well regulated and that the actual amount in a 1-milligram tablet can vary considerably. A number of herbal supplements, such as valerian, make claims about helping with sleep, but the scientific evidence for this isthin or nonexistent. As with other supplements, quality control is not well regulated. The National Center for Complementary and Integrative Health at the National Institutes of Health offers clear explanations of what is known - and what isn't - about the effectiveness, and risks, of various sleep supplements. There are a lot of potential solutions for poor sleep. Medications are one path. "If somebody wants to try sleep meds, do it in concert with a doctor so you can best understand how to do it," Kirsch says. "There are different kinds of insomnia."